Spring Grove, Minnesota was the first Norwegian settlement in the state. The Germans immigrated to places like New Ulm. Later on, many Czechs settled in the towns of Montgomery, Lonsdale and New Prague (the kolacky heritage remains strong!). 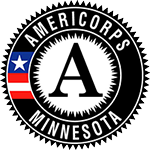 Throughout history, the 20 counties now served by the Southern Minnesota Initiative Foundation (SMIF) have been the first to welcome new waves of refugees and immigrants. That remains true today. While Minnesota is facing a shrinking workforce due to the aging of Baby Boomers, there are pockets of in-migration across our region, largely driven by immigrant populations. In SMIF’s 20 counties, there has been a 56% increase of people who are foreign-born from 2000 to 2015. In Mower County 3.6% of the population was foreign born in 2000; by 2015, that had more than doubled to 7.5%. Austin, home of Hormel, has welcomed wave after wave of new immigrants. In the 1990s, it saw an increase in Central American immigrants, followed by African immigrants in the 2000s. The latest newcomers are Karenni people from Southeast Asia. While many rural Minnesota towns are seeing a population decrease and a worker shortage, Austin went from three decades of population decline to seeing population growth since the 1990s; since 1990, Austin’s population has increased by 12.8%. It takes courage to leave the place you call home, even when forced out by civil wars or natural or economic disasters. Perhaps because so many of these foreign-born families have already risked so much, once in America, they are leading the way when it comes to entrepreneurship. A 2015 report from the Kauffman Foundation states that 28.5% of new entrepreneurs in 2014 were immigrants. Jose, Cecelia and their three children outside their new building. They went from renting to owning. 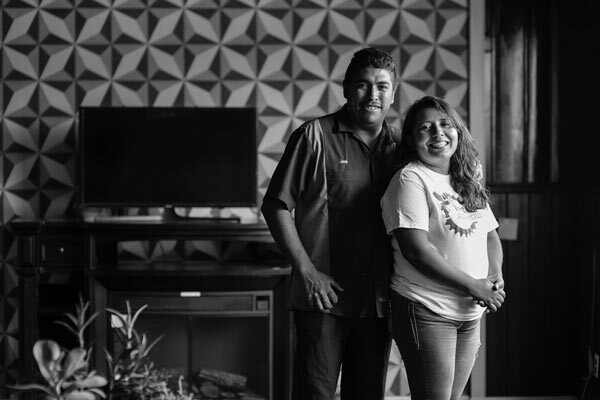 Jose and Cecelia know that they are not alone in their dream of running their own business. 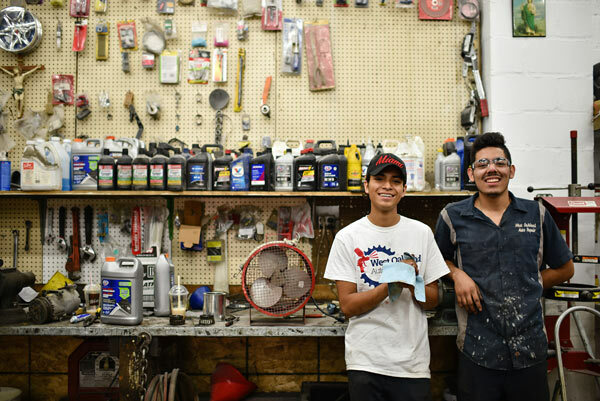 “A lot of the people I talk to say ‘I always wanted to have my own business, to open a grocery store or corner store or construction company,’ but they just don’t have the right information,” said Jose. Jose & Cecelia in their new waiting room. "It feels like a family room, which is what we wanted," said Cecelia. 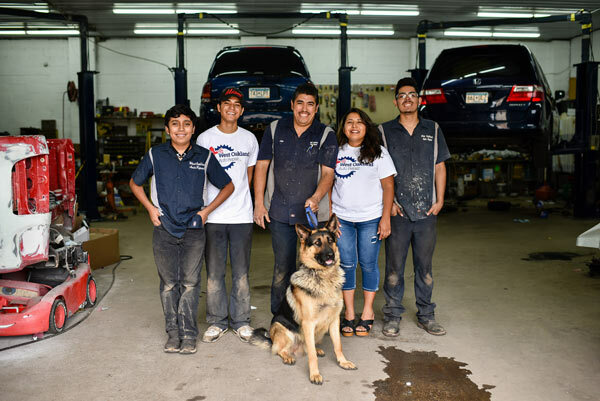 Rodriguez conceded that money is one limiting factor, but the lack of business education is where he feels the most effort is needed to help others take the plunge into small business ownership. “Just because we know how to do something – let’s say bake cakes – to go from making a few for family to opening a business, you have to know what to do with it, from advertising to financial to managing books and people. There’s a lot to learn,” said Jose. SMIF’s business resources are unique compared to banks because the Foundation can offer both loans and technical assistance to new or expanding businesses. 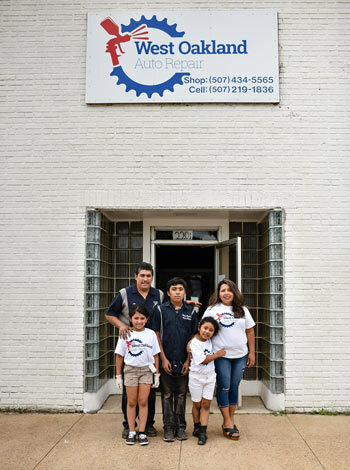 “We heard about SMIF from Accentra Credit Union in Austin,” said Rodriguez. “They couldn’t give us a loan because we didn’t have a business history or experience with paperwork or bookkeeping, so we didn’t really have cash flow projections or a business plan at that point because we didn’t know any better. They recommended us to SMIF and Marcia helped us out with our books, putting together a profit/loss balance sheet, and helped us with our first loan.” That was in 2012. Jose & Cecelia's daughters now have a space to play and hang out at the shop. Learn more about SMIF's Loan Programs and the Prosperity Initiative.